A.H. & A.W. Reed Ltd. had been a successful independent NZ book publisher since 1907, and in late 1957 they launched a record label, Kiwi (often called Kiwi Pacific), to complement their printed work. The idea was that they would combine books and records to create unique and attractive packages, focusing strongly on Māori music and the educational market. A.H. & A.W. Reed hired Tony Vercoe to run the label in 1959. Vercoe had an academic history in classical and opera and experience in broadcasting; he ran Head Office Programmes for the NZ Broadcasting Service when hired by Reed. Vercoe set about the task with some vigour, he was the perfect manager and by the early 1960s the label had a strong and commercially viable catalogue. He had astutely issued a number of New Zealand folk releases, often coupled with a book, plus an increasing number of classical recordings and spoken word as well as the Māori and children’s works. Kiwi was the first label to record New Zealand composer Douglas Lilburn (his early recordings were on 7-inch EP, a format that Kiwi used often). James K. Baxter was another early name on Kiwi, with his radio play Jack Winter's Dream (music by Ashley Heenan) appearing in 1958. 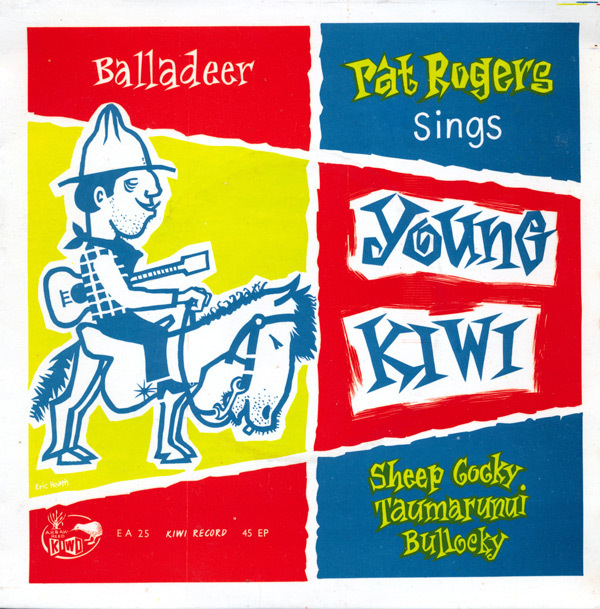 Kiwi also released several very popular EPs and an album featuring the iconically New Zealand folk ballads written (and often performed)by Peter Cape, a somewhat eccentric Anglican vicar who's most well known song for the label was 'Taumarunui On The Main Trunk Line' as sung by Pat Rogers, who added music to Cape's words. 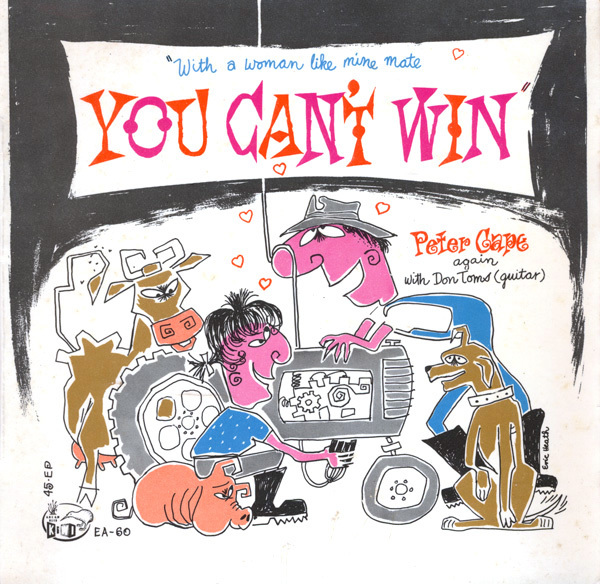 The 1960 Pat Rogers EP with two Peter Cape songs including Taumarunui, was a very big seller for Kiwi, staying in the catalogue for for over a decade. Nothing was too niche for Kiwi. Concepts like recordings of trains and birds were found in the growing catalogue (and sold very well!). 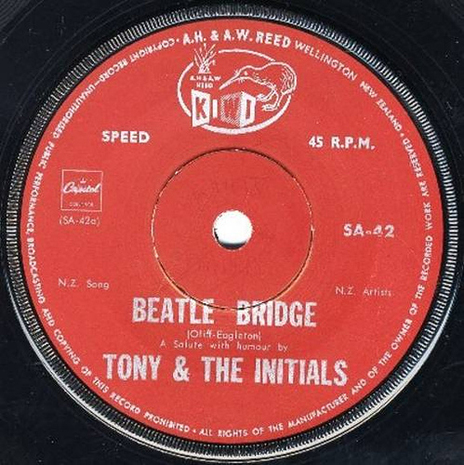 Kiwi also signed Tony and the Initials in the early 1960s, one of their few forays into pop, successfully charting several records in New Zealand and gaining international release for this Wellington band. In 1964 they signed the young Kiri Te Kanawa (to date still their biggest selling artist) and then Malvina Major and Inia Te Wiata. All three sold substantial numbers of records and they had international audiences that Kiwi happily fed. Te Waiata’s Waiata Māori album from 1971 is the biggest selling Māori language album of all time. Kiri's early recordings for Kiwi included light pop and show tunes as well the styles she is now globally known for. In the 1970s, after 20 successful years, Kiwi was legally detached from Reeds and the new parent company Reed Pacific Records Ltd. then launched several other labels including Hibiscus (Polynesian) and Tartar (folk). They retained the iconic Kiwi label for all other releases. Vercoe’s Kiwi Pacific Records Ltd. acquired the company in 1977 and retained ownership until he sold it in 1989 to John Ruffell, who still owns it in partnership with Desmond Park, Kiri Te Kanawa’s ex-husband. Tony Vercoe continued as a consultant for some years although he backed away from the very hands-on approach to recording that had been his Kiwi trademark. A indie-label pioneer in so many ways, Kiwi (or Kiwi Pacific as it's often known), has a deep and quite fascinating catalogue of just about every kind of music (and non-music) imaginable aside from contemporary rock and pop. Kiwi's releases can still be found in record stores worldwide and online, and the label remains very active. When you hear the bird noises on Radio New Zealand, they come from Kiwi's catalogue, as recorded by Ken and Jean Bigwood in the 1960s. In 2012 Kiwi Pacific reissued the legendary 1920s Parlophone recordings by Ana Hato, with her cousin Deane Waretini (not be be confused with his son, another Deane Waretini, who had a 1981 hit with ‘The Bridge’) – the first records recorded in New Zealand – as part of their new Treasures in Sound series.